It's officially February! To me that means the darkest month is behind us, no more reason to feel depressed, bring on the spring! Not only is February the shortest month of the year, it also comes with a lot of love, rose petals and everything red and pink! Yes, we all know that Valentine's Day is on its way. Now before I share my Valentine beauty secrets with you, I have a big confession to make. I am actually not a big fan of Valentine's Day! Let me explain: although I appreciate the history behind it and the idea of people sharing their love, I feel that it has become way too commercialized and to be very honest with you, I just don't feel that I need a special day to suddenly show my husband how much I love him or to get confirmation of how much he loves me. In fact, I tend to tell my husband to keep his pennies in his pocket and not buy me anything that day because it can be so expensive! Having said that, I totally appreciate that this is only my opinion and that there are plenty of people out there who love to celebrate on February 14. 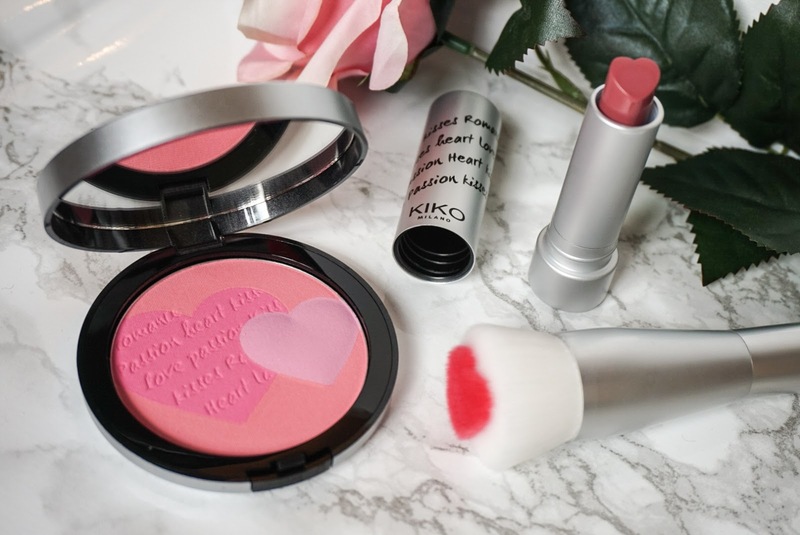 So for everyone who requires a little bit of inspiration to get yourself ready for that big date, I have snapped up some Valentine's makeup beauties that I would like to share with you. One of my favourite makeup brands at the moment is Kiko Milano. I love absolutely everything about them and wish I had enough money to buy the store! 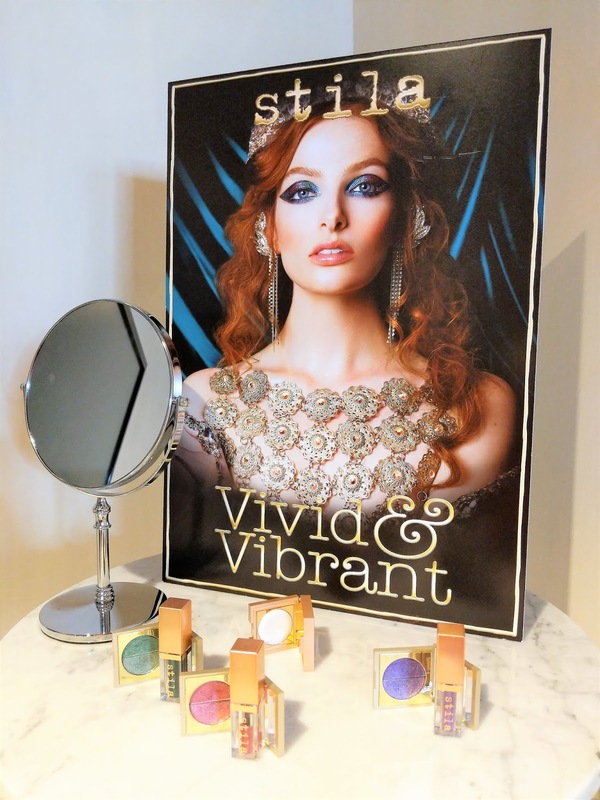 Their makeup is on trend and looks so luxurious but is actually really affordable! 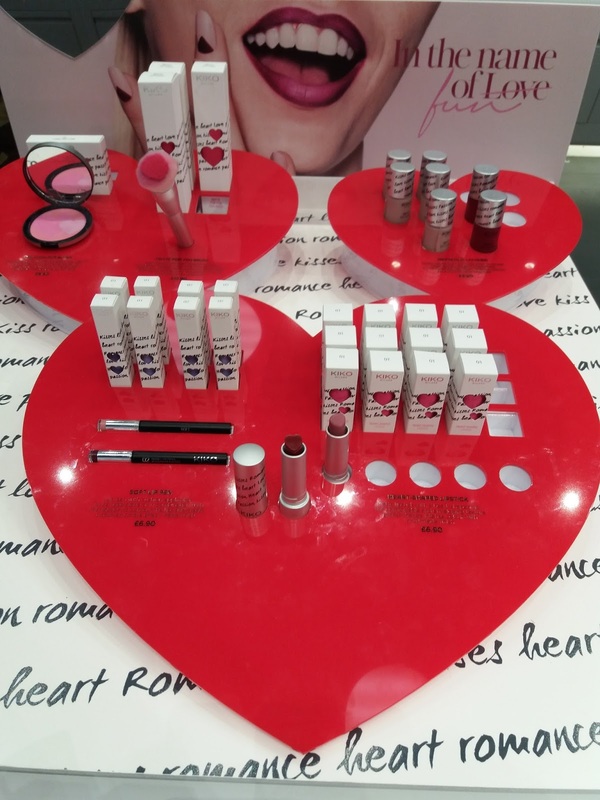 Last month, when I walked into their store, I noticed their lovely Matte For You Valentine's range. This range consists of a lot of cute little things such as heart shaped lipstick, matte nail polish and blusher. I ended up buying three things: the heart shaped lipstick in 01 Sweety Rosy Mauve, the multicolour blush in 01 Loving Pink Flame and the heart shaped face brush. So the heart shaped lipstick looks cute right?! I absolutely love it! Originally I was going to go for colour 03 Red Velvet Kiss, but by the time I decided to buy them that one was sold out so I ended up buying Sweety Rosy Mauve instead and I am actually quite happy with that. It's a beautiful natural colour, slightly darker than my own lips. 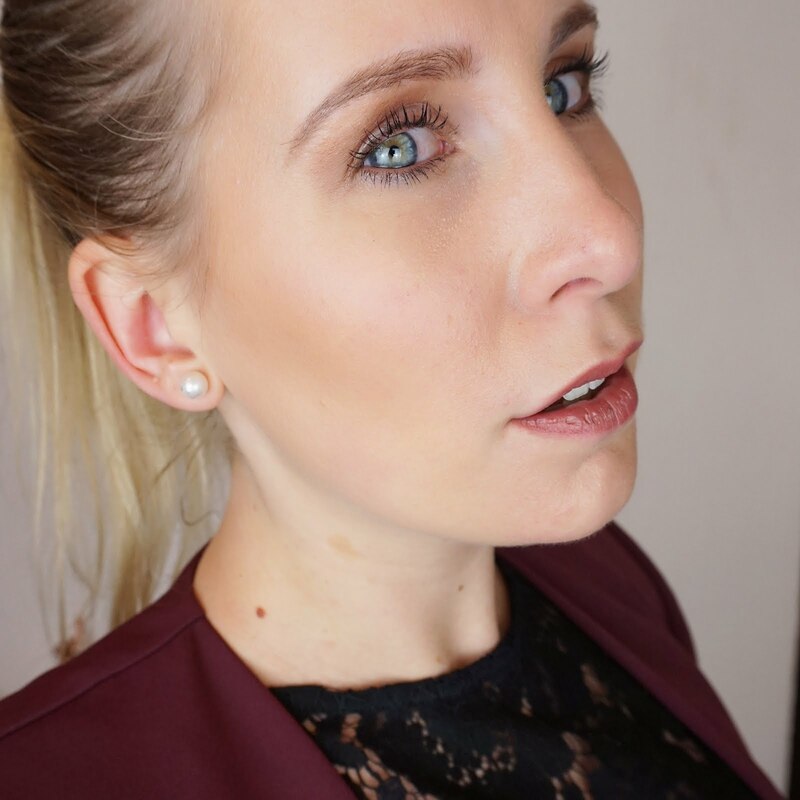 The lipstick itself feels lovely and creamy and has a really nice matte finish. So next up is the blusher. I chose this one because I love the look of it, the beautiful heart shaped colours and the writing is gorgeous - really suited to the theme. 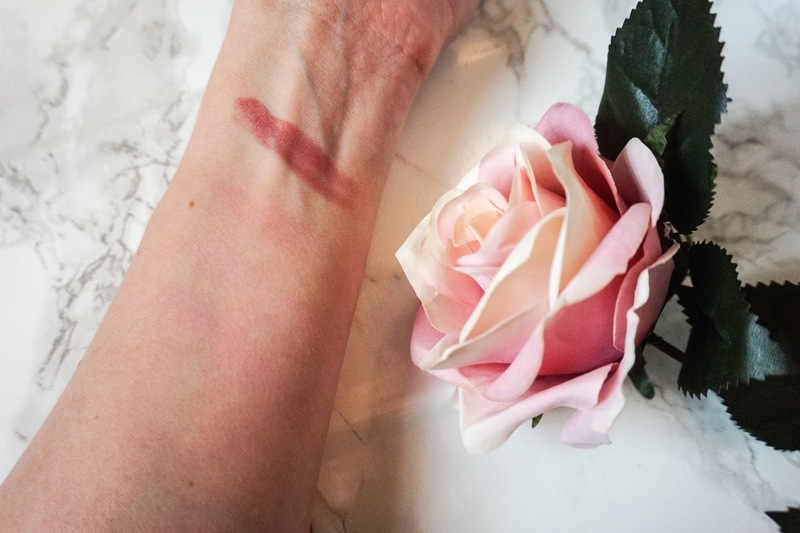 The blusher has three different colours and when I tried them, I noticed that they are not the most pigmented blushers but to be honest, that actually works for me. 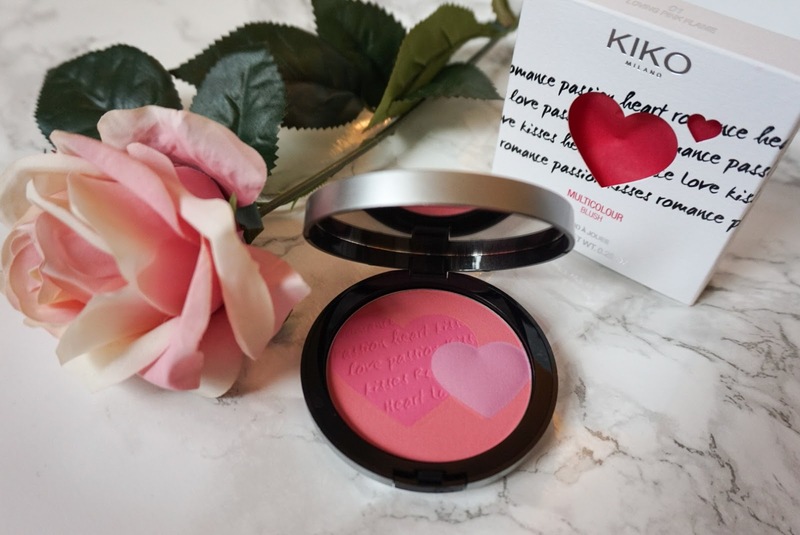 Personally, I am not the sort of person to wear heavy makeup and I think this blusher is perfect if you want to keep your look natural but create those subtle rosy cheeks. In this picture you can hardly see the blusher colours below the makeup but they are really there! They are definitely more visible when wearing them on your cheeks. To be able to apply the blusher, I decided to buy the heart shaped face brush as well. This brush is made of synthetic hairs and feels super soft. 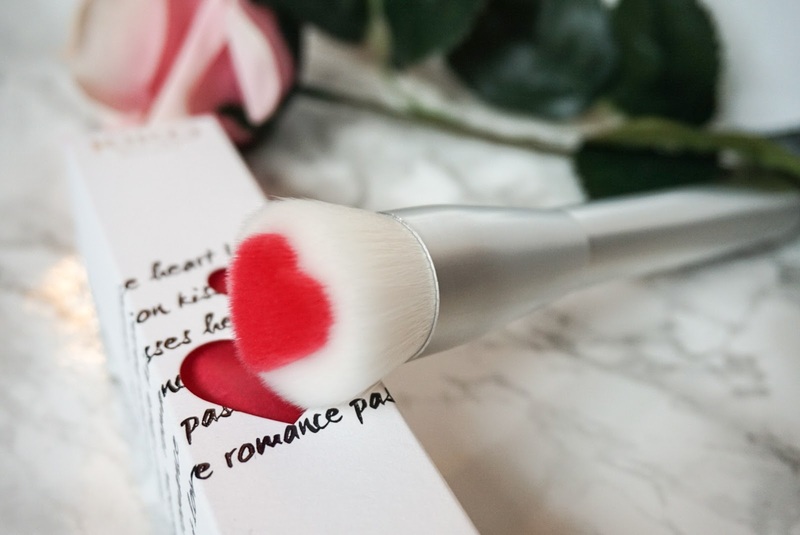 The shape is not only cute but also very handy as it is perfect for applying blusher: the red heart shape is slightly risen, allowing you to be more precise when applying your blusher. I am really happy with my new makeup beauties! They don't break the bank, look beautiful and are really good quality. 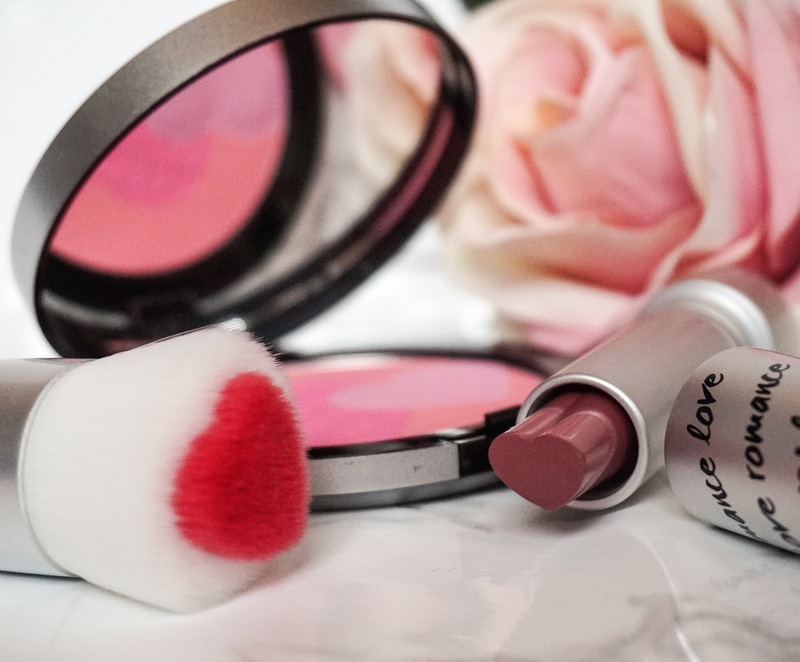 Whether you want to get these to help you get Valentine ready or just to add a little extra to your everyday look, I would definitely recommend them! 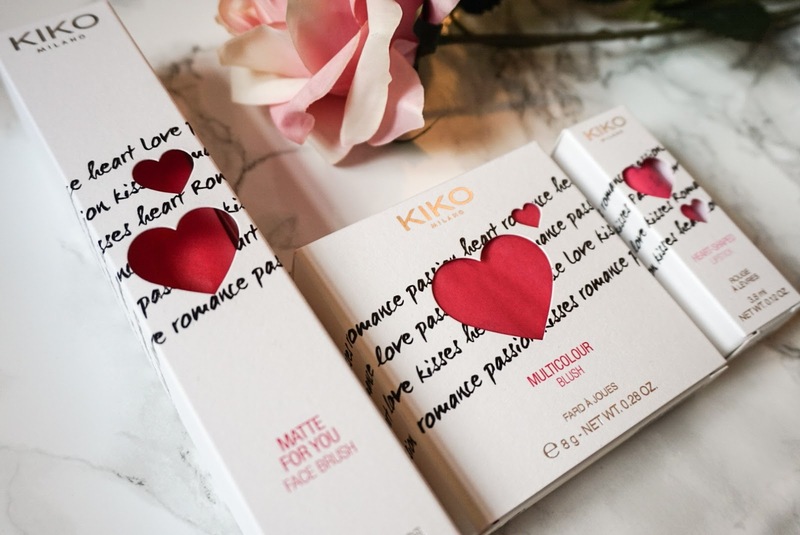 You can view the whole Matte for You collection here or visit your local Kiko Milano shop. Remember that this is a limited collection!